Free Pattern! Sew What Sherlock's Cheat's Dresden - Sew What, Sherlock? Well, after a week of life’s distractions I’m back at it. (And by the way, my car is in the shop getting fixed up as I type this. Insurance covered all damages.) This is technically the next entry in the Conversion Project, but I sized this version of the pattern at 16″ for ease of use and publishing. I’m going to do the 24″ version later this week, but because it needs piece-gluing due to the large size, it’s going to have to wait a couple of days. Note: I have not yet tested this pattern. If you have problems with it please let me know. You can @ me on instagram (@sewwhatsherlock) Or contact me here. 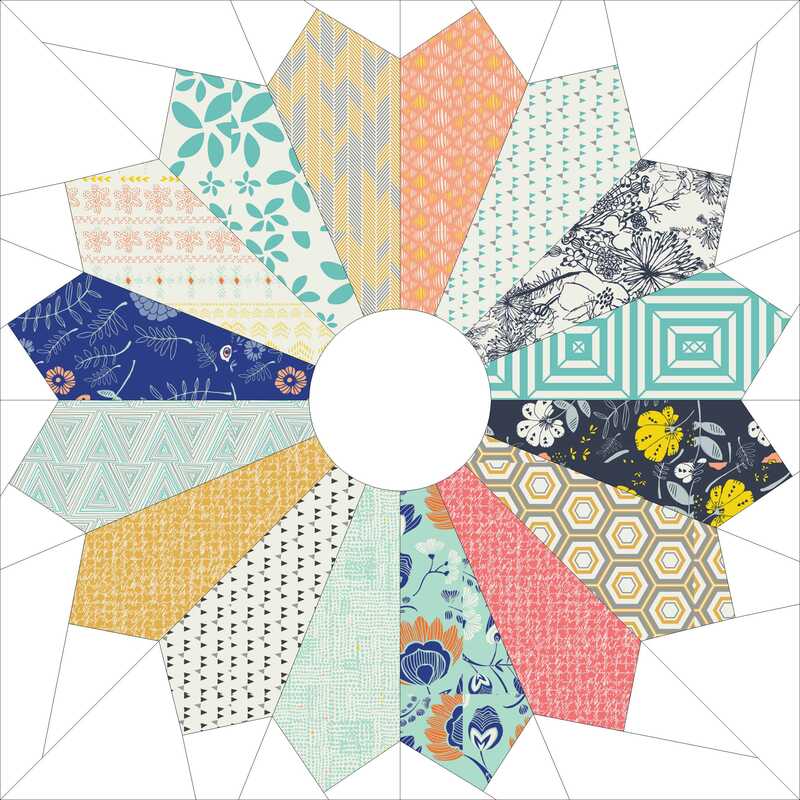 Fabrics used in the sample are Minimalista and Tule. I designed this pattern because I like to break the rules. I think the appliqued dresdens are extremely difficult to do properly, and I think if one can make the same thing a different, more precise way, why not give it a try. Plus I just think applique like this is super fussy to get right what with all the super precise shapes having to meet in a perfect circle. If you aren’t offended yet by my disregard for tradition thanks for sticking around! 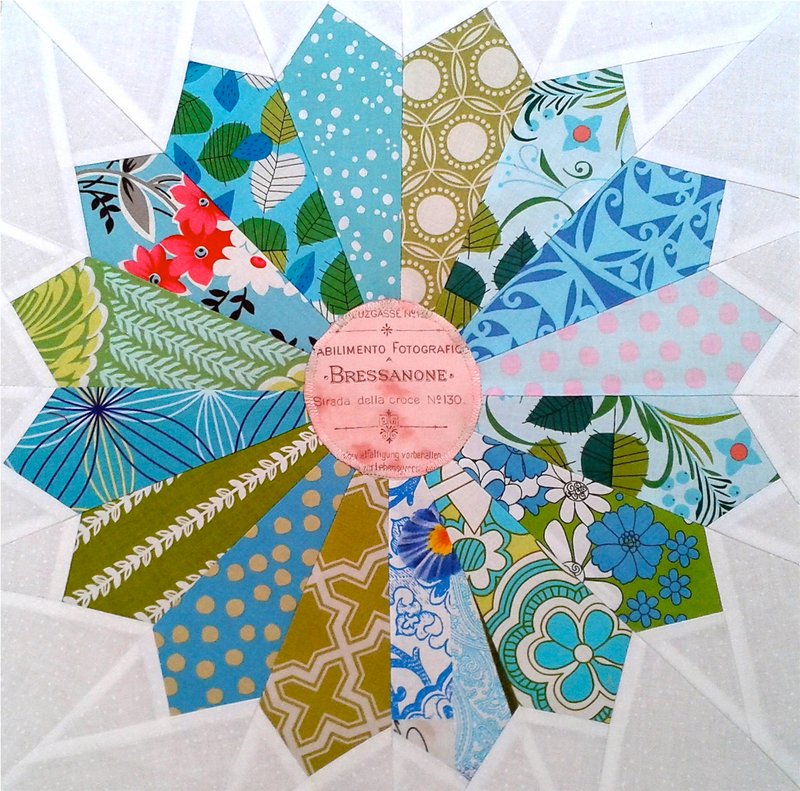 Anyway, if you make a paper pieced dresden using my pattern please let me know, I’d love to share! Look! Joanne made her own Cheat’s Dresden, so we know it works! Woohoo! Oooops… *Embarrassing* Sarah… So sorry! Lol No problem Lorna, go for it! Thank you, Sarah! I cannot wait to give this a try. Dresdens are my favorite and I have yet to sew one! I will start with your PP. I actually never thought of them as appliqued. Downloaded it … Pinned it … will let you know when I make it! Awesome, thanks Serena, please do! !